Raleigh, N.C. – On Thursday, Governor McCrory will attend a candidate forum hosted by the North Carolina Association of Community College Trustees during their Leadership Seminar in Charlotte. 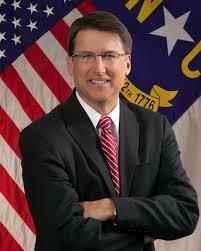 Roy Cooper is scheduled to speak at 2:15pm and Governor McCrory is scheduled to speak at 3:45pm. The candidate forum comes the same day Hillary Clinton campaigns in Charlotte following the release of the FBI’s investigative report which revealed new details about her lies to the American people about her emails. After a media report only uncovered about 16 emails Roy Cooper has sent using his state government account during his 16 years as attorney general, will Roy Cooper finally tell North Carolinians the truth about his own use of email? Roy Cooper claims that he sent 16 emails in 16 years because he prefers face-to-face communication over using digital communications, but Roy Cooper has sent over 81 mass campaign fundraising emails and 408 tweets from his @RoyCooperNC account since January 1, 2016. The average U.S. adult sent 36 business emails a day in 2014, according to technology market research firm The Radicati Group.